In a move that is being described as “scandalous” and “dangerous” privately by Green Party insiders, Jill Stein has hired a former Michigan Democratic Party Chairman as her lawyer in the state’s recount effort. 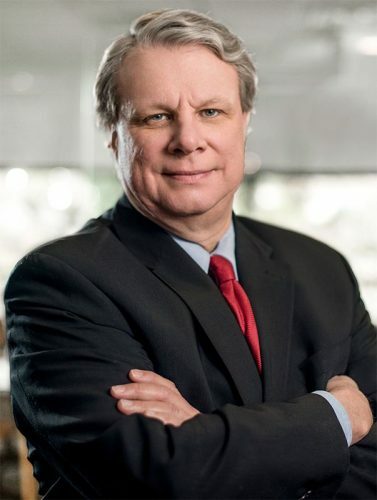 Stein’s new lawyer for the Michigan recount, Democratic political consultant Mark Brewer, is a member of the Democratic National Committee and a past chair of the Association of State Democratic Chairs. Not only is this decision bad optics, but it is also a conflict of interest. If a Democratic Party operative is running the recount effort, will he expose any corruption from the Clinton campaign that is uncovered, or hide it? On Saturday evening, the Hillary Clinton campaign announced that it will be participating in the recount. “We feel it is important, on principle, to ensure our campaign is legally represented in any court proceedings and represented on the ground in order to monitor the recount process itself,” Clinton campaign counsel Mark Erik Elias said in a post on Medium. 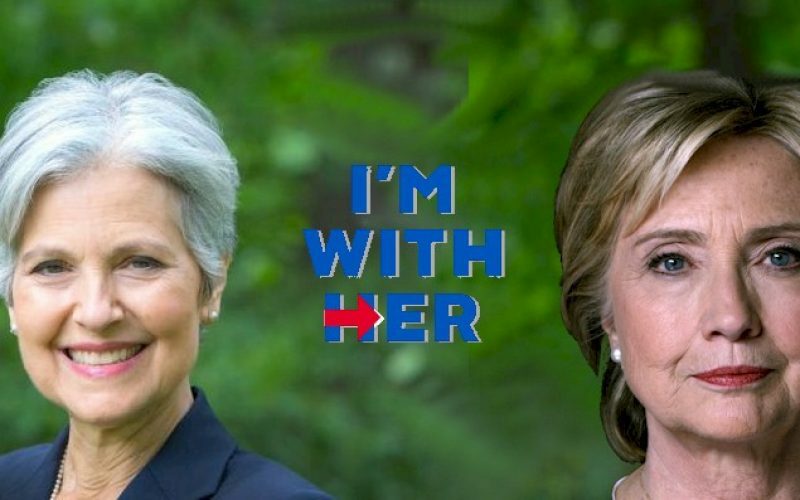 Interestingly, their campaign seems to be represented fully — perhaps even by Stein’s own lawyer. Keegan Pontoni, the person in charge of volunteer coordination also happens to allegedly be a Democratic operative. One reasonable explanation for her hiring choice may be a lack of lawyers with expertise in recounts who are not part of the duopoly. That explanation fails to pass the smell test however, as internal communications from Michigan Green Party leaders reveal that neither she, nor anyone associated with her recount effort, approached them for legal recommendations. The Michigan Green Party elected five people from their party in this year’s election, and clearly have a savvy staff of volunteers, yet Stein completely surpassed them for her effort in their state. “Green-affiliated lawyers are very savvy and have litigated many cases for the people, including the original emergency manager law, which was struck down as a result,” Wiles continued. Members of the Green Party have also consistently stood against Clinton’s fear mongering about Russia, and the fact that she appeared dead set on starting a war — yet in Stein’s petitions, she and her Democratic Party-led legal team continue to suggest that the Kremlin may have hacked the election. As we previously reported, over 200 members of her own party, including her vice presidential candidate and senior advisor, have asserted that they are against the recount effort. Many within the party have cited their concerns over her use of peddling the “foreign agent” conspiracy theories in her petitions as a cause for alarm. The Democratic operatives running the recount effort have also allegedly approached the state’s 16 electors in an effort to persuade them to sign onto Stein’s petitions. Taking all of this information into account, one can’t help but wonder — has Stein betrayed her party and gone rogue? UPDATE: We have been granted permission to publish this internal email from the national Green Party discussion list. The email was sent by LuAnne Kozma, a Stein campaign organizer in Michigan. It appears that the recount here is being organized by Democratic Party operatives, through the hiring of former Michigan Democratic Party chairperson, Mark Brewer, who is not only an attorney but also does political consulting as part of his legal work. The person in charge of volunteer coordination for the recount effort in Michigan is not a Green, but a paid Democratic party operative, named Keegan Pontoni. I don’t know him, but his Facebook page has him pictured behind a podium with an Obama sign on it, and he pontificates about Obama. He also was the campaign manager this fall for a progressive Democrat, Gretchen Driskell, who ran for Congress in the 7th District and lost. The person who is handling the coordination of all lawyers who volunteer to observe is Mark Brewer’s assistant, Jenny Suidan. Suidan is the quintessential party hack, works for Brewer as a political aide, not a legal aide. Is a Clinton supporter and was a delegate to the DNC. Jill Stein’s campaign could have come to our Green Party lawyers and legal associates for recommendations or assistance but didn’t. I recommended a socialist young attorney. There is also the NLG, the Sugar Law center, and lawyers who litigated the emergency manager law, and a whole crew of savvy lawyers who worked on the MI Legalize (marijuana) campaign. There was no ask of the Green Party of Michigan nor of our robust team of coordinators and volunteers to run this. Knowing I was not on board with it, perhaps they bypassed all of the Stein Baraka coordinators. We worked our tails off for this campaign. There was no paid staff here. There was no office. We had a good crew of hard-working volunteers. We built the party. Now this news is devastating us and we’ve been completely sidelined and blindsided. David Cobb says on a Facebook post to my inquiry that even he did not agree with the election experts’ opinions about the Russian hacking… and yet, why is Stein’s Democratic Party-led legal team asking and pressuring our 16 electors –telling them they could even talk to Jill if they were uncertain about signing along on the petition with her? Someone on this list I think said Jill Stein courageously going it alone is on these petitions. No. In Michigan she recruited some of our 16 electors to sign along with her, and agree to those preposterous statements. Amazingly, many did. Thanks to my pointing it out, perhaps, maybe, I’m told by the electors these statements might be pulled from the final versions. Democratic Party to run the recount in Michigan. I’ve had a good cry, and I’m wondering how something like this could happen.